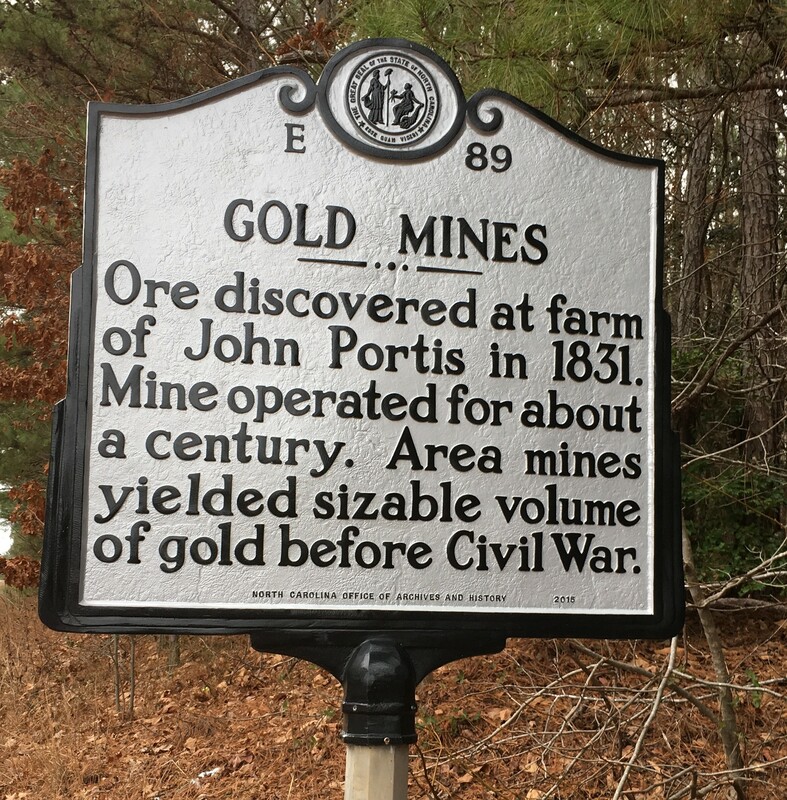 Ore discovered at farm of John Portis in 1831. Mine operated for about a century. 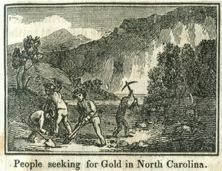 Area mines yielded sizable volume of gold before Civil War. There are six distinct gold belts in North Carolina. The Eastern North Carolina Belt contains fifteen mines in Franklin, Halifax, Nash, and Warren Counties. 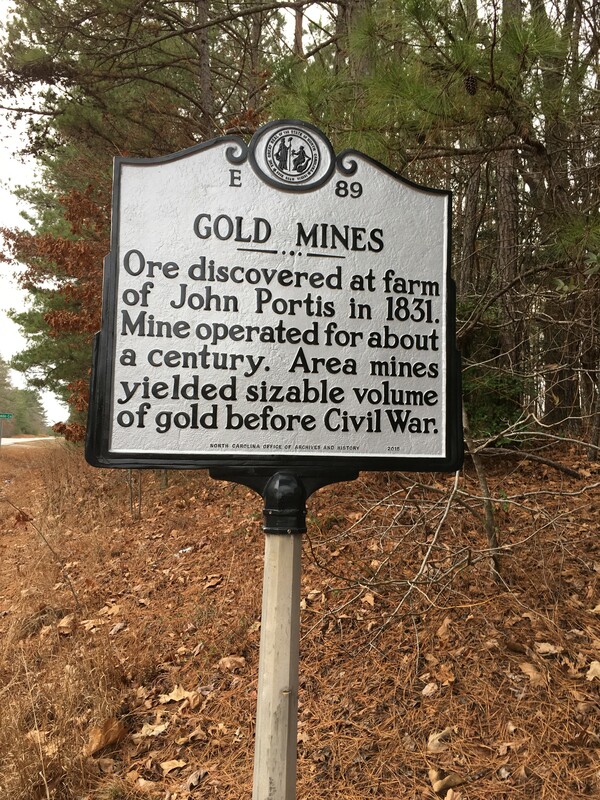 The first discovery and the most important mine in the Eastern Belt was the Portis Mine in northern Nash County near the community of Wood. The mine was named for John Portis who owned the land and discovered the first nuggets. The surface mines on the Portis property were worked from 1831 until the Civil War, in the 1880’s, and again in the 1930’s. The gold in the Eastern Belt is primarily of the placer variety, which means that the deposits are along the surface and are created by erosion. Air and water act to separate the heavy minerals from the light, leaving deposits of the heavy minerals, like gold, behind. Gold mining in the region has been primarily a manual job. Potentially gold-bearing earth was placed into sluice boxes where the dirt would wash away exposing any gold present. Mechanical mining was never successful in the area due to the difficulty in separating the gold from the sticky red clay native to the region. It is estimated that millions of dollars worth of gold has been extracted in the area.